Shaded by live oak trees and lined with 20th-century bungalows, this eye-pleasing 30-acre campus provides a refuge from bustling city life. Explore the urban oasis via its array of buildings and green spaces, bars and restaurants, and public artworks. Byzantine Fresco Chapel – Tucked in the southeast corner of Menil Campus, this peaceful space once showcased the Western Hemisphere’s largest intact Byzantine frescoes. Today, the Byzantine Fresco Chapel houses temporary, long-term installations of modern and contemporary art. Designed by Francois de Menil, the award-winning structure is open to the public and free to all. Cy Twombly Gallery – Next to the main Menil museum, this gallery houses a body of work from Cy Twombly, who emerged from the New York art world of the early 1950s. Dan Flavin Installation at Richmond Hall – Minimalist sculptor Dan Flavin created this permanent installation at Richmond Hall, featuring his signature medium of fluorescent-light tubes that alternate in pink, yellow, green, and blue, and puddle onto the gallery’s polished concrete floor. Houston Center for Photography – Started in 1981 and dedicated to the art of photography, this free-to-the-public exhibition gallery houses some of the finest contemporary works and a state-of-the-art darkroom. Look out for photography classes and workshops offered year-round. The Menil Collection – This impressive collection founded by John and Dominique de Menil displays carefully chosen artworks from around the world, with exhibitions including Surrealism, Arts from Africa, Arts of the Americas and Pacific Northwest, Arts of the Ancient World, Arts of the Pacific Islands, Medieval and Byzantine Art, and Modern and Contemporary Art. Admission is always free, though donations are welcome. Menil Drawing Institute – This new chapter of Menil has yet to open its doors, but expect a public space dedicated to the exhibition, conservation, and study of modern and contemporary drawings. Menil Park – With hours from dawn to dusk, you’ll likely find locals hanging out on this expansive, tree-lined lawn at this campus’ epicenter. Bring a picnic, enjoy a quiet moment with a good book, flow and prosper with some yoga, or simply bask in the sun. Rothko Chapel – Get zen and find solitude at the spiritual Rothko Chapel. Open to all faiths, the sleek, octagonal sanctuary hosts 14 murals from abstract expressionist Mark Rothko, as well as eight movable benches. Outside on the plaza, the Broken Obelisk rises above a reflecting pool; The sculpture is dedicated to Dr. Martin Luther King, Jr, who worked in service of social justice while leading a deeply spiritual interior life. Sicardi Gallery – Located on West Alabama, this art gallery showcases modern and contemporary Latin American art featuring artists who are originally from Latin America or who live and work in Latin America. The University of St. Thomas – Discover treasures at the nearby University of St. Thomas. Influential architect Philip Johnson is responsible for some of the most beautiful aspects of the campus, designing the Academic Mall, a modern, minimalist space flanked by symmetrical buildings of classrooms that face one another, in 1957. The lawn is anchored by the Doherty Library at one end and the Chapel of St. Basil at the other, representing the dual methods of human knowledge–reason and faith. The chapel itself, also designed by Johnson, is also quite striking. With no artificial light inside the main section during the daytime and candlelight at night, it provides a serene, meditative space for reflection. Don’t forget to check out the historic, neoclassical Link-Lee House, the labyrinth outside the chapel, and the current Theology department, located in the childhood home of Howard Hughes. 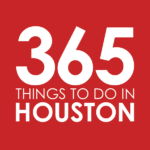 Watercolor Art Society-Houston – This local non-profit promotes interest in watermedia art through teaching, programs, demonstrations, outreach, and exhibitions. The WAS-H Gallery is open Tuesday through Saturday from 10am to 3pm. Bistro Menil – Unwind with a spritzer at this European-style bistro, which sits on Menil Campus in an elegant, minimalist space. Eats range from charcuterie and cheese plates and salads plump with lump crab and duck confit to truffle butter-smothered N.Y. strip and manchego-jamon pizza. The bistro offers lunch, brunch, dinner, and happy hour. The Black Labrador – With just a quick jaunt to Montrose, you can dig into traditional English pub grub at this laidback watering hole. Enjoy beer and cheese soup, fish & chips and bangers & mash, beef Wellington, and Scottish apple pie. Friday and Saturday nights come alive as locals enjoy jazz at the Cezanne piano bar upstairs. Cane Rosso – Over on Richmond, this Neapolitan-style pizza joint offers a pup-friendly patio, plus an excellent set of happy hour and brunch options. Bring friends and share impossibly good, perfectly scorched pies topped with everything from sopressata and prosciutto crudo to jalapeño pesto and Calabrian chiles; and tack on plates of fiery ghost pepper bucatini, roasted cauliflower and carrots, housemade burrata, and ancho chile wings. Good Dog Houston Montrose – Good Dog Houston sits right on West Alabama, rocking a lineup of Texas-made dogs with incredible toppings and scratch-made condiments – think beef and chorizo chili, beer-braised sauerkraut, mustard-cheese sauce, and roasted garlic aioli. Enjoy some alongside local crafts and non-weenie dishes like smoked hot wings, fried fish po’boys, and miso green salad. The Harp – This local Irish watering hole on Richmond brings the fun with ping pong tourneys, dart leagues, trivia and steak nights, and plenty of adult beverages. Lowbrow – Right on West Main and Mandell, this cool restaurant and bar pleases fans with blue cheese burgers, slow simmered veal Bolognese, and curried masala fries. Don’t miss weekend brunch, with options from crispy wings and Texas-sized waffles to chicken-fried-steak and eggs. Michael’s Outpost – This piano bar with a cabaret feel has been drawing locals into its Richmond strip mall location since 1998. Throw back a few drinks and check out talented pianists Wednesday through Sunday evening. Oui Banh Mi – This banh mi shop sits on Richmond, offering a lineup of Vietnamese eats including chargrilled pork and pate banh mi, cha gio egg rolls, vermicelli and rice bowls, and beef pho. The Pit Room – One of the city’s best smokehouses sits right on Richmond not far from Menil Campus. Here, pitmaster Bramwell Tripp fires off a mean smoked brisket, a trio of housemade sausage and unexpected delights like smoked chicken verde and pulled pork tacos, and chicharrones with house hot sauce. Save room for dessert: cherry pie, sugar cream pie, or a next level ice cream sandwich. Revelry on Richmond – Also nearby, this hopping sports pub and eatery invites you to work hard and play harder. Stop by for happy hour to sip house sangria, wines, and Texas pints for $5; check out daily specials like Steak & Pint Night (Monday) or Pub Trivia (Tuesday), and grub on everything from braised short rib and poke tacos to patty melts and kale Caesar. Texas Shrimp Shack – Hit the palapa patio at this casual spot, which serves Gulf Coast seafood with a Mexican twist – think shrimp nachos and enchiladas, lobster linguini in creamy guajillo sauce, and snapper ceviche. 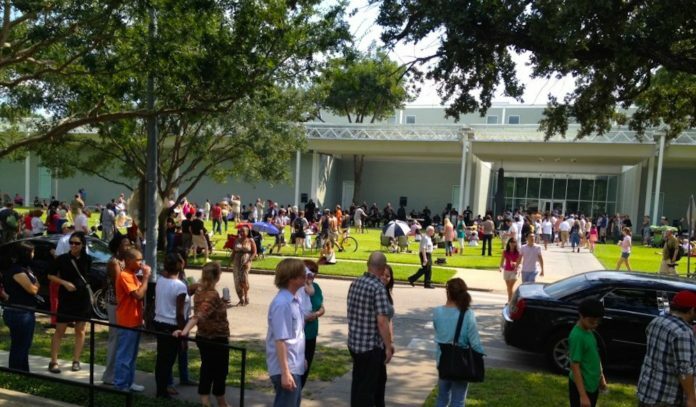 Menil Bookstore – Hit this gray bungalow across from the museum’s main entrance to find a broad range of volumes from the Menil Collection imprint, as well as an array of contemporary art, architecture, design, and special interest books. You’ll also find a large children’s book and toy section, carefully curated gifts and merchandise, and a special selection of jewelry and artwork by Texas-based artists.